You can see, all of them lined up, how similar the front faces looked. Made entirely out of glass and aluminum. Buttons in the same places. 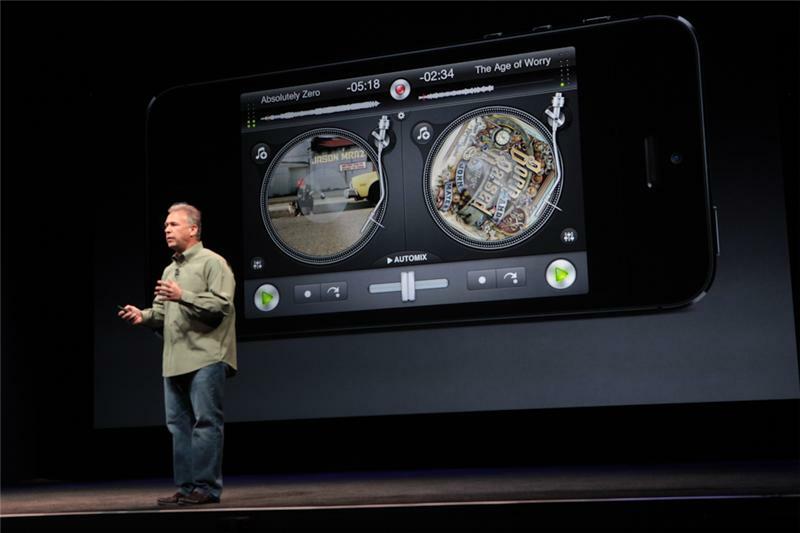 Schiller: the hardware and software engineering that has gone into this product is the most challenging. 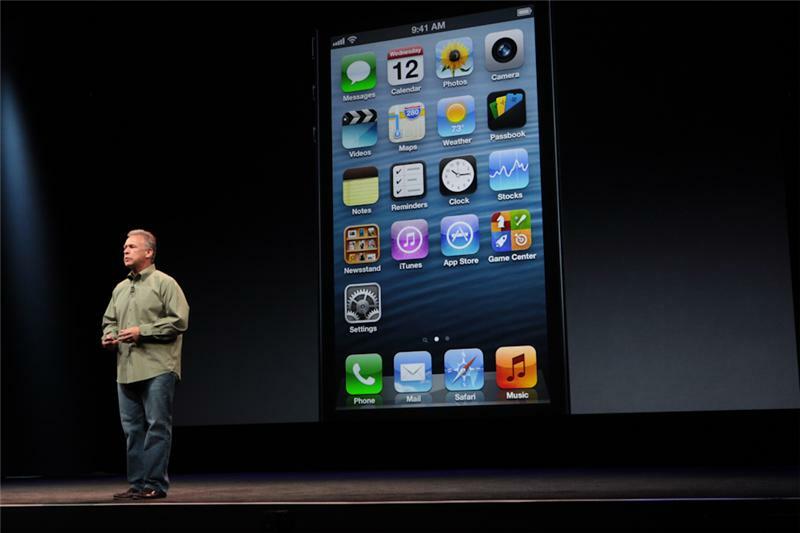 Thinnest phone ever made by Apple, Schiller says. 7.6mm thick. 18% thinner than iPhone 4S. 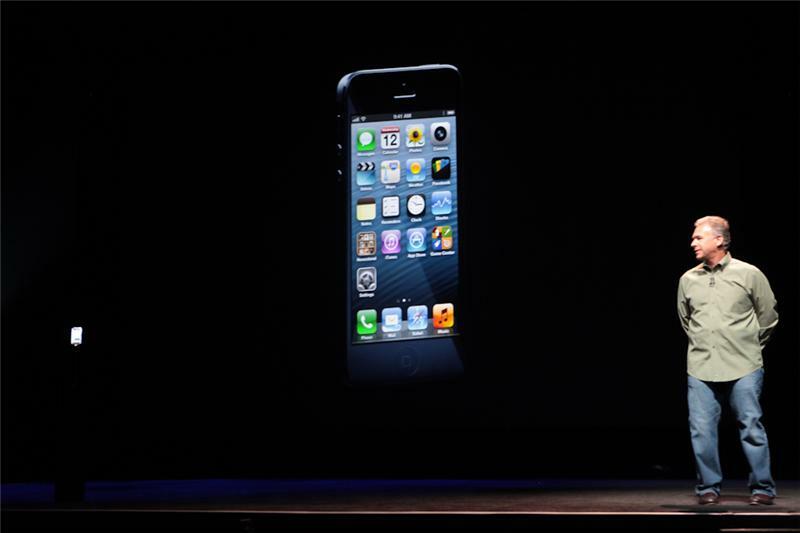 iPhone 5 is hovering on a pedestal. Schiller says it's the world's thinnest. 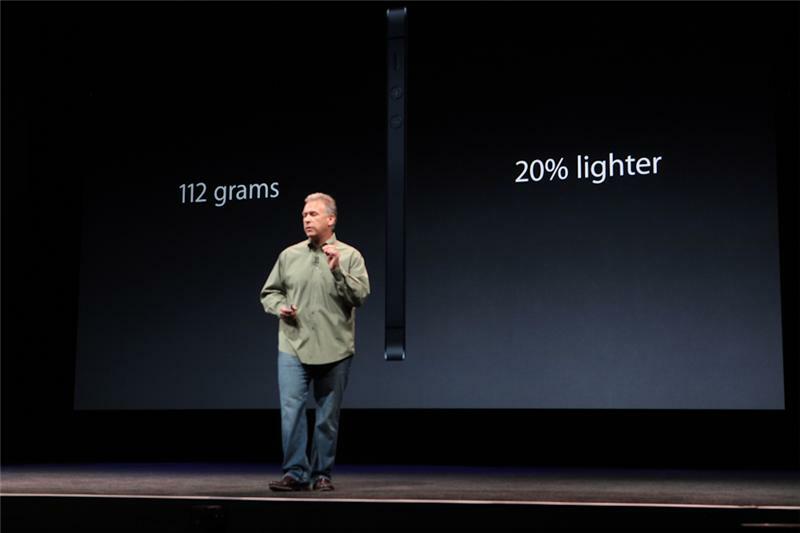 112 grams -- 20% lighter than 4S. 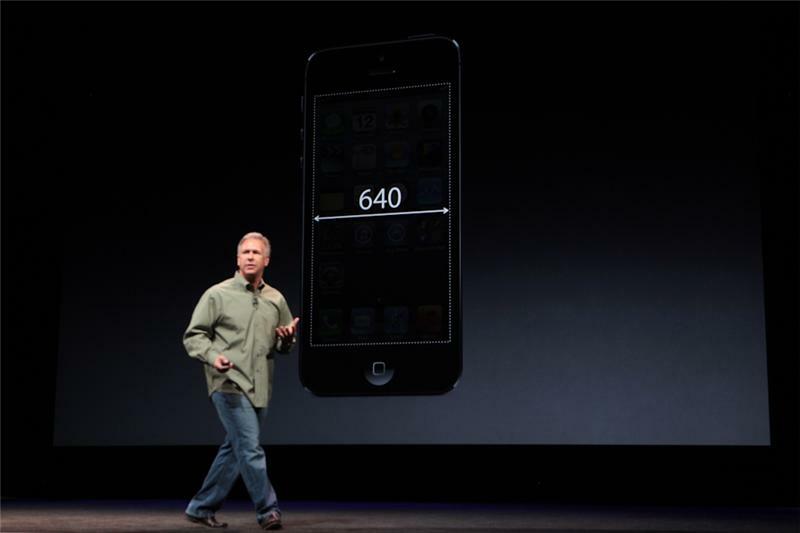 Schiller: Can you make a phone that had everything that iPhone 4S had in a thinner, lighter, smaller design? 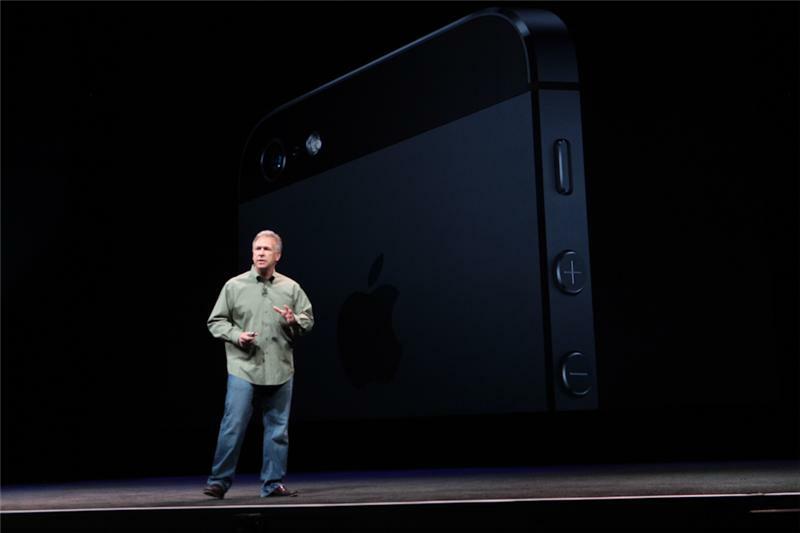 The early pictures were right: the iPhone 5 matches the images online. 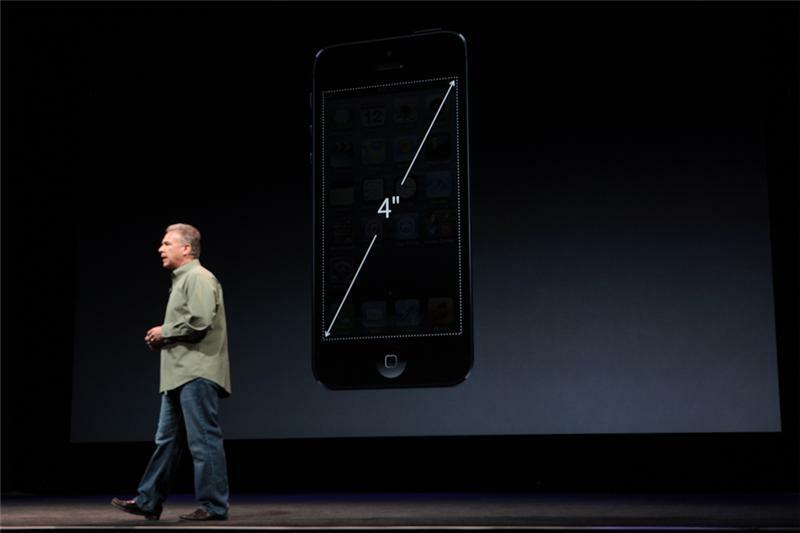 18% thinner is a big reduction on the iPhone 4, which was already shaved down from previous iPhones. 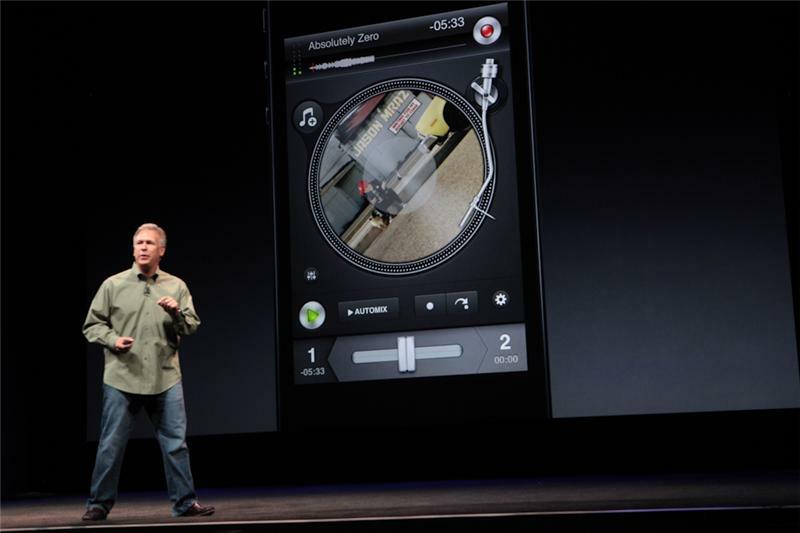 Now onto the features: Retina Display 326 pixels per inch (same as old model). New screen - 4-inch display. 16:9 aspect ratio. Why, Schiller asks? A phone should work in your hand. The screen's indeed four inches, and that 1136x640 that has been discussed/guessed at. Now discussing the use cases. Schiller: When you use your phone, it should be easy to use the phone with one hand. Vertical pixels add a 5th row of icons to the home screen. Side by side with an older iPhone, shows more visible email space above the virtual keyboard. Software on the phone has been updated. Means more e-mail, more Web pages in Safari. Now there's a full 5-day week view in calendar. 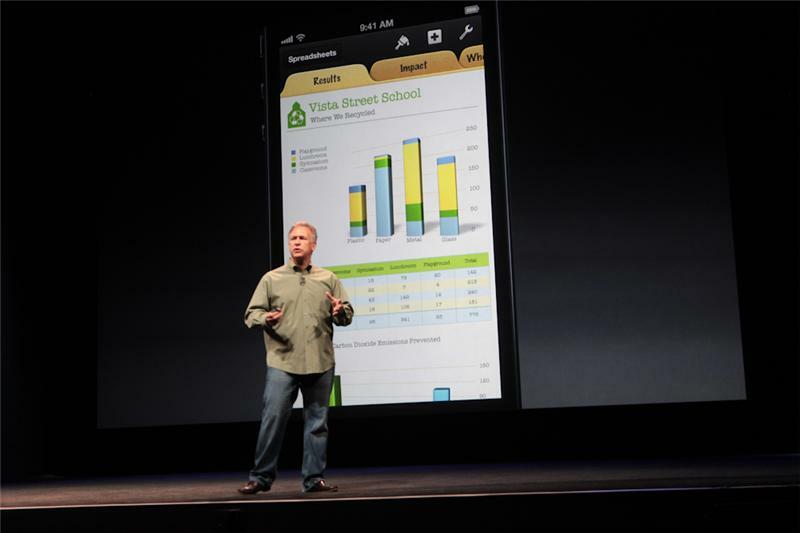 Also iWork apps all re-done to work with the bigger display. Same thing with iLife. iWork, iPhoto, Garageband. Calendar showing more events: that's something that always asked for little more space. Apps that haven't been updated: runs at the same size as it does on the phone. Showing iLife apps, all using expanded real estate. Now discussing what happens to existing apps. 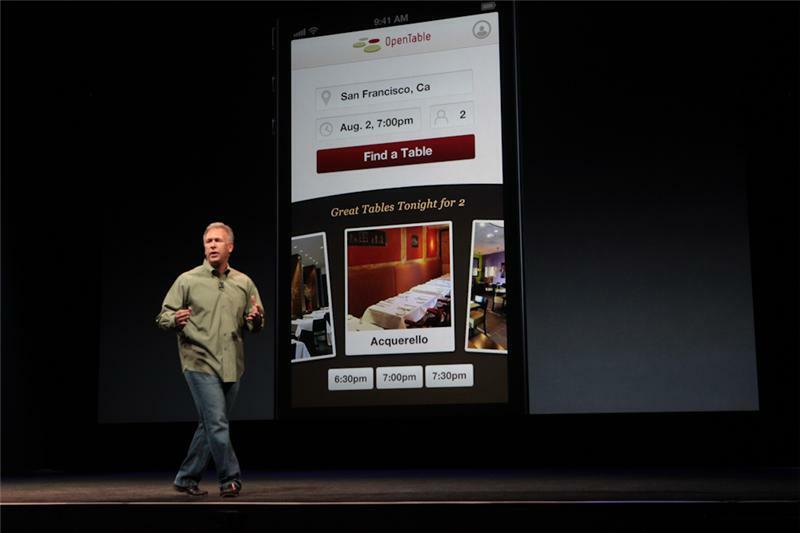 Apps aren't stretched or scaled -- it's got black borders on each side. "All your software works just like before," Schiller says. Existing apps center with black borders on the side (or top/bottom). Company gave a few companies early access. 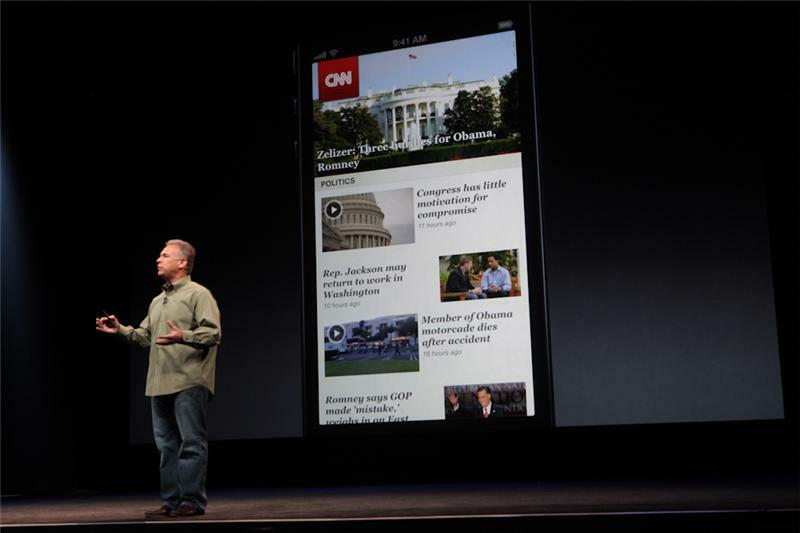 Schiller says apps were easy to update, and updated quickly. One of those: CNN -- now a bit taller. 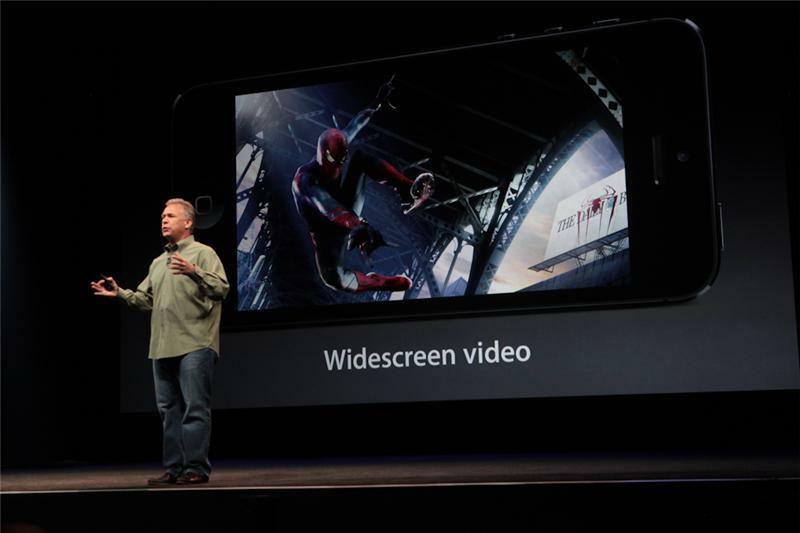 Widescreen movies look better, Schiller says. 44% more color saturation than iPhone 4S. Now takes us to sRGB display spec.